One of my co-workers once lived on base housing in Alaska. Because Alaska is so far north, they have summer days where it never gets dark. The sun hangs low on the horizon and it’s always light outside. My friend was in a late night poker game. One of the players left and went home, which was across the street. He wasn’t tired. The lawn looked a little long. He decided to mow the lawn. The problem was it was 3:00 AM! As you can expect, his neighbors were not happy. The base instituted mandatory quiet hours from 10:00 PM to 6:00 AM. You weren’t allowed to make noise so people could sleep. I had never experienced mandated quiet hours. Germany is the size of Montana with 82 million residents. That’s 3.7% of the area of the United States with 26.6% of the population size. German soil is more than seven times as densely populated than in the United States. Due to being more crowded, Germans have passed laws to help ensure they can get some rest. The Germans call it Ruhezeit, which means rest time or rest period. But what are the quiet hour laws? One reason is that I don’t speak German. I don’t know where to look for the official laws. Even if I found them, I’d need help translating them. I did research from multiple sources in English instead. I found that the exact laws vary by state. I read that 1:00-3:00 PM are reserved for a mid-day rest. I also read this has been repealed. Many Germans still honor this quiet time and aren’t happy if you violate it. There are quiet hours for the nighttime, as you would expect. Night quiet hours are from 10:00 PM to 6:00 AM. I read different start times of 8:00 PM and 9:00 PM but the majority said 10:00 PM is when the nighttime quiet hours start. The best advice is to check with your local city hall to see exactly what quiet hours are expected. An even better idea is to ask your neighbors because you have to get along with them. All of the sources I found said Sunday and holidays are subject to quiet hours. The best description I found said not to disturb the solemn character of Sunday or holidays. Of course there are exceptions like Fasching, which is a holiday specifically to party so noise is expected. Otherwise, keep it quiet! But what can’t I do during quiet hours? – Running your washing machine in a shared dwelling like an apartment is discouraged. I read that washing your car on Sunday is not allowed. I’ve never done it but I don’t know if that’s true or not. I err on the side of caution. We do other things during quiet hours instead. What can you do during quiet hours? Pretty much anything that doesn’t make a lot of noise! Our favorite thing to do is go for a walk in the woods. We see a lot of people in the woods on Sunday. 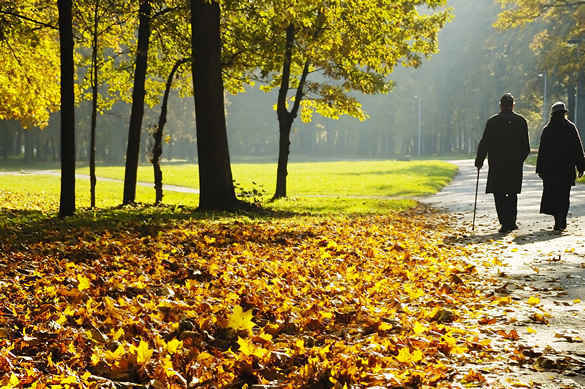 In the United States, walking has evolved into a sport or weight loss activity. Walking in Germany is done for enjoyment too. There are those who share the American walking goals, but many Germans just like getting outside and enjoying nature and some fresh air. I like to bring my camera and take pictures along the way too. My shutter isn’t too loud so I think it’s allowed. My co-worker’s Alaskan friend probably had to follow similar restrictions from 10:00 PM to 6:00 AM. You do get used to it and it’s nice to enjoy that walk in the woods and be able to hear the birds and not lawn mowers and chain saws. Just plan ahead and cut your grass on Saturday. So next Sunday, take a walk in the woods and enjoy the thundering quiet all around you. Man there is also mid day quite hours. I think is something like 12:00 – 15:00 but i’m not sure about the exact hours. From my experience the Germans don’t like any music coming out of your car, they typically follow you and throw electrical frequency pulse to interrupt your radio or cause damage to your car.